Movies are great. I know it, you know it – the whole world knows it. But sometimes we’re all caught in up with the new and shiniest thing cinema has to offer. That’s where #FilmStruck4 comes in. If you have a Twitter account, there’s a good chance you’ve seen (or even been nominated to take part in) the hashtag, which offers up an opportunity for cinephiles to share the four movies that influenced them the most. Of course, Guillermo del Toro can’t just pick four, though his eight picks are about as classic as you can get. Another to include The Godfather and One Flew Over the Cuckoo’s Nest is Parks and Rec’s most positively positive man, Rob Lowe. 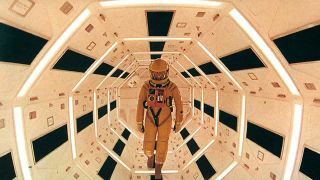 There’s another nod for 2001: A Space Odyssey, courtesy of Baby Driver director Edgar Wright. Logan director James Mangold opted to go all hipster, including 1956 movie The Red Balloon. Yes, I had to Google it. Jessica Chastain chose to highlight a bit of girl power, including Terminator 2’s Sarah Connor. Josh Gad went Back to the Future for his picks. And Tessa Thompson proved she’s a self-confessed cinema nerd *puts all four movies on my watchlist*. There you have it, some of the finest names in film giving away their personal favourites. As for me? 2001: A Space Odyssey, Birdman, Apocalypse Now and Lost in Translation. Don’t @ me. Feeling a bit hot under the collar that you haven’t seen some of the above classics? Here’s how to pretend you’ve seen the 30 best movies ever made.